Yoga is much more than a physical practice!. Yoga can also improve mental and emotional health and wellbeing and boost our energy. By focusing on energy, rather than simply the physical body, yoga enables us to access more of our natural inner resources to improve health, fitness and wellbeing. That’s the chakra yoga secret! 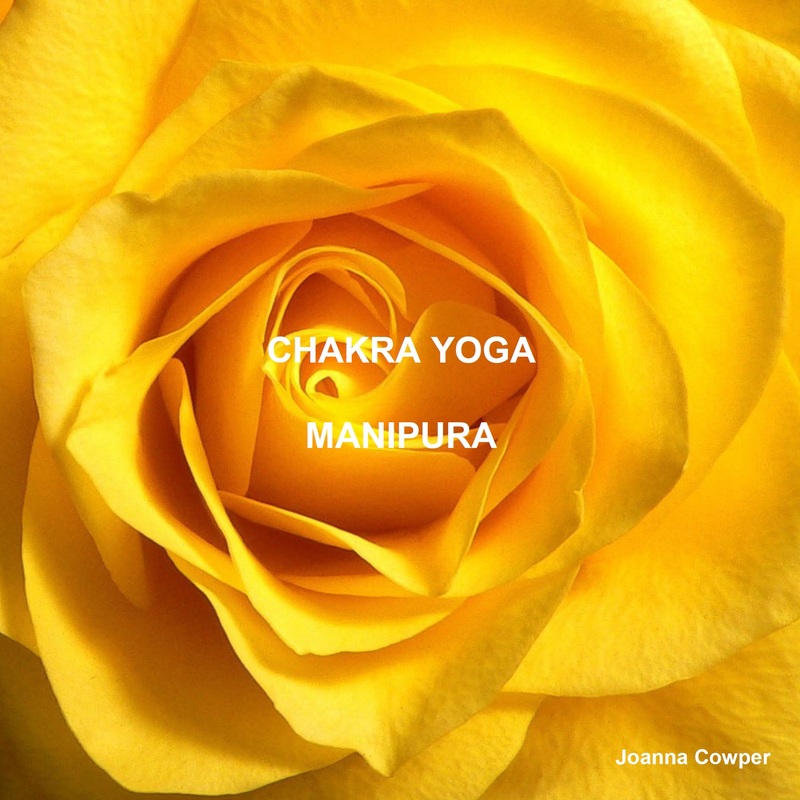 Jo has explored this further and developed a unique 7 Step Chakra Yoga Method which works with the body’s vital energy centres, to unlock hidden energy within the body and help you access your inner resources in an effective, straightforward process. She is excited to share this method with you via workshops, books,and downloads, offering a number of ways for you to use the system to improve your own health, vitality and healing. Jo also helps you to develop an individual home practice and offers guidance and support along the way. The 7 Step Chakra Yoga Method also helps improve mental and emotional wellbeing. By releasing dormant chakra energy through yoga, you can unlock unconscious behavioural, emotional and mental patterns. This enables you to release physical, emotional and mental blocks that can manifest as illness. Chakra yoga cleanses and heals the body, mind and spirit; enabling the body’s natural healing processes to function more effectively. The chakras are circles of energy, colour and light. The 7 main chakras run through the body from the base of the spine to the crown of the head in a rainbow of colour. 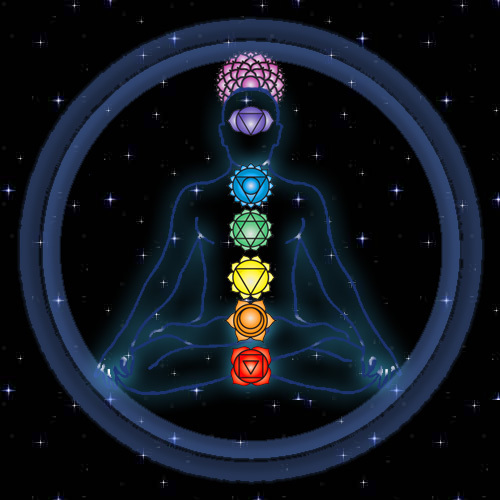 Each chakra links to a different area of the body such as the lower back, hips and shoulders. Yoga poses can release tension in these areas and improve physical health. 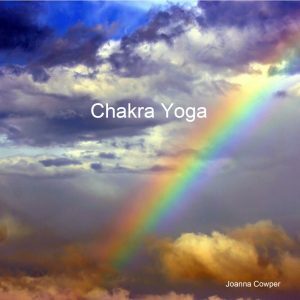 Jo has developed the chakra yoga system to optimise each energy centre and achieve connection, release and healing. Jo’s exclusive chakra yoga workshops incorporate inspiring, fun yoga poses, energising breath work and relaxing meditation and visualisation practices. The aim is to release energy blocks and tension and to build strength and flexibility in the body. This enables circulation and vital energy to flow freely, which improves our health, vitality and wellbeing. The Workshops focus on Jo’s 7 Step Chakra Yoga method, which combines Hatha Yoga, Sport Yoga, & Yoga Therapy techniques. This includes traditional & modern poses and links them to specific areas of the body for greater understanding of what your own body needs and how to help your body function more effectively. You are encouraged to form a connection with your body, via poses, breath and relaxation visualisation. 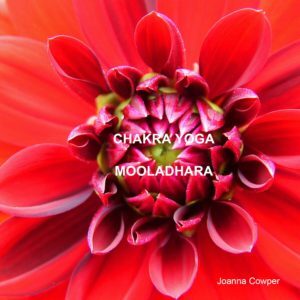 Jo has published a series of Chakra Yoga Books to accompany the Workshops, available to download here. You can also buy hard copies of the books here, in the studio shop or on Amazon. Workshops are open to all levels. See the Workshops page for further details. Yoga has always been about the Chakras. From the time of the Vedas, when yoga was first written down, yoga was intended to be a spiritual system accelerating human evolution. The Vedic teachers recognized the human form as a system of interlocking bodies of different forms of energy, from material, physical energy, to the most subtle and abstract, the chakras. Although the Vedas were written down in the last couple of thousand years, they existed orally for far longer. They represent the wisdom of a very ancient culture that plunged into the experience of the human body energy systems. One of their most important discoveries was that this energy system manifests itself in 7 centres, vortexes, or “wheels”, called the chakras. These can be experienced directly through feeling, or even seen by those with higher abilities. Subtle energy flows in and out of the human body through these centres. This energy then stimulates or calms their physical centres and the major glands. Many forms of Yoga, such as Kundalini or Kriya Yoga, work systematically through the Chakra system. These could therefore also be referred to as Chakra Yoga. The ultimate purpose of yoga practice is to raise kundalini energy along the spine, passing through each of the chakras. Almost every yoga practice is about preparing the body for this release in meditation, or establishing it as a permanent state afterwards. Our Chakra Yoga practices are for everyone from beginners to advanced students. The poses and sequences derive from the same sources as other traditional Hatha Yoga practices. Ultimately, therefore, Chakra Yoga is in the same, single, ancient tradition of yoga. Our modern world forces many adjustments to ancient traditional practices. For example, usually we can’t take 12 years off work to practice yoga, or shut ourselves in a cave, or beg for our food! We have to compromise on things like diet, air pollution, noise and time. Nevertheless, it is still always possible to practice yoga and progress in our practice and our personal evolution. Great yoga teachers travelled the world over the last couple of centuries to tell us this, leading to the global explosion of yoga. Much of modern yoga derives from the various schools originating with Krishnamacharya (e.g. Ashtanga yoga, and Iyengar yoga). If you follow yogis on Instagram, chances are that at least half of them are in this lineage.. Krishnamacharya adapted traditional yoga practices to be suitable for young boys undergoing military training, therefore the emphasis is highly physical. While there is nothing wrong with these practices, they can make one feel inadequate! You might feel that you have to be a teenage gymnast, dancer or model in order to practice yoga. This is simply not true. Although we love social media, it has skewed public perception of yoga and led many people to feel excluded. In Chakra Yoga we trace our systems back much further. Yoga is for everyone: all bodies, all minds, all types. It’s not about what you look like. We look to traditional texts for the purpose of the poses, or asanas, and their relation to the chakras; we do some poses that few people do; and we don’t do certain ones that everyone does! 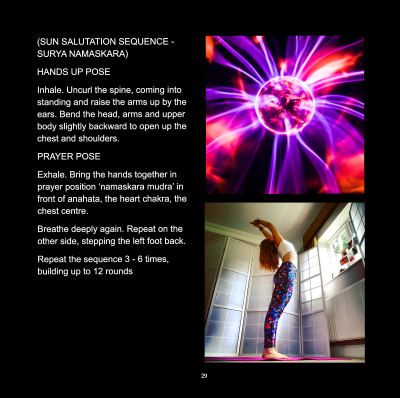 Our Chakra Yoga classes and the Chakra Yoga book provide an inspiring, accessible practice for everyone. At the same time it is an advanced practice linking to the spiritual and energetic nature of the chakras.In reality, we all follow the same ancient teachings and are progressing to the same goal via the many yoga practices that have been handed down to us from the first yogis..